Getting a DUI is far more than just a nuisance. Depending on the severity of your charge, you could be facing tens of thousands of dollars in fines, as well as probation, community service, the loss of your driver’s license, and even time in jail. This charge can also lead to difficulties down the road in finding jobs and potentially even rental housing. Here at our DUI law firm, we are committed to helping our clients face the least amount of repercussions possible in regards to DUI charges. However, there is only so much a DUI attorney in Bend can do for you if the court of law finds you guilty. The best course of action is to avoid a DUI charge altogether. 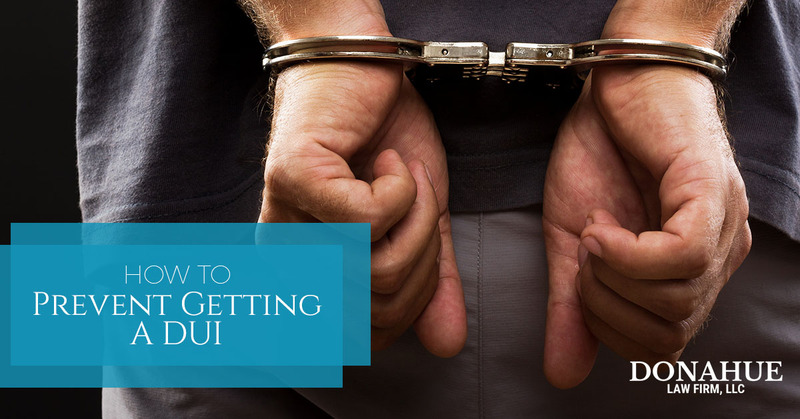 If you want to be proactive in avoiding a DUI charge, check out these tips we have compiled, aimed at preventing you from getting a DUI. Remember, if the worst case scenario does take place, reach out to our talented team for help. We will fight aggressively on your behalf to ensure you achieve the best results possible. If you have been invited out for a great evening of friends, drinks, and fun, take the time to think ahead about how you will be getting home. It is easy to procrastinate this decision and think that you will figure it out in the moment but the reality is that a few drinks in is the worst time to make important choices. Before you ever head out the door for a night of drinking, determine who your designated driver will be. Either choose a friend in the group you can rely on or ask someone who isn’t going out with you to be your end-of-the-night call. It is advisable to choose someone who isn’t present at the party you are attending or isn’t making the brewery rounds with you, as it is easy for someone to over consume while they are being “DD.” Perhaps you are having a guys night out. See if your significant other will be your ride if you will be hers for her next girls night out. Maybe you have a family member in town who doesn’t mind swinging by to give you a ride. Whatever the case, make sure the person you choose is 100 percent reliable. With the advent of so many rideshare options, gone are the days of arguing over who will be the one to stay sober. Utilize services such as Uber or local taxi companies to get you from point A to point B on your big night out. While you may balk at the cost of a $40 trip across town, this fee is miniscule in comparison to the costs of a DUI. If you are going to utilize the route of hailing a cab or opening up a rideshare app on your phone, make sure you have a fully charged mobile device to do so. If you are bar hopping, bring along a charger and fuel up your battery throughout the night. Nothing is worse than reaching the end of the night, intoxicated, without a phone to call your ride. If you are drinking at a friend’s house and as the night progresses they realize you aren’t fit to drive, listen to their advice. When a friend offers you a couch, or even the floor to crash on, it is probably a good indication that you should not get behind the wheel of a car. Your friends have your best interest at heart and while their old college couch might not be your first sleeping choice, it is far better than spending the night in the drunk tank. There often exists a golden moment in the evening during which you are intoxicated enough to know you shouldn’t drive but still sober enough to have the smarts to choose not to get behind the wheel. Embrace this moment and hand over your keys to a trusted friend before excessive alcohol consumption leads you to believe you are invincible. Remember, even having your keys on you when you are sleeping off your drunken state in your car can lead to a DUI. Make sure your keys are nowhere on your person if you are near your car while you are intoxicated. Going out means juggling transportation to and from the bars and can lead to poor decisions made in the moment. Instead of going out, host the next event at your own home. When you choose to drink in the comfort of your abode, you don’t have to worry about how you will get back at the end of the night. Make sure that if you are the host of an event where drinking is involved that you offer your guests options for avoiding a DUI charge themselves. Provide beds, couches, pillows, and blankets to encourage your friends to stay the night instead of driving while intoxicated. While preventing a DUI is the best way to go, we understand at Donahue Law Firm that sometimes life just happens. If you are facing a drinking and driving charge, contact our team right away. The sooner you talk to a DUI lawyer the better. We fight aggressively for our clients and have the experience you need on your side. Reach out today to learn more about how we can help.